A serious personal injury, estate plans, probate and trust administration, or business litigation— whatever the nature of your legal need, it is most likely not strictly a legal problem. Frequently, in fact, these matters involve personal issues and affect lives in profound ways. At The Florida Legal Advocacy Group, P.A., we understand that the people whose legal problems and concerns we focus on require more than just our knowledge of the law or our experience in the courtroom. They need honest answers, thoughtful guidance and lawyers who will be available to them throughout the process as well. Our attorneys know how to listen and excel at both explaining complex legal ideas and strategies in clear, understandable terms and keeping clients fully informed and involved every step of the way. Our goal in each instance is the same: to provide each client with the same benefits large firms have to offer and with the responsive personal attention and service of a boutique law firm. We are completely committed to delivering on these promises to you as well. 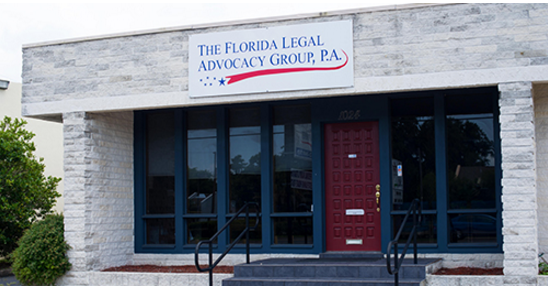 To learn more about The Florida Legal Advocacy Group, P.A., the lawyers who work here, or how we can help you with a specific type of legal issue — please don't hesitate to call us at (352) 732-8030 or contact us online and schedule a free consultation today. Lastly — If your concerns involve a personal injury, or employment discrimination — there's no out-of-pocket expense to worry about. We handle these types of cases on a contingency fee basis, which essentially means that you will not be asked to pay any legal fees unless we obtain compensation in your case. LG , THE VILLAGES, FL. Personal injury — We represent clients for most types of personal injury claims. This includes automobile accidents, truck, golf cart and motorcycle accidents as well as product liability claims. Let our experience work for you. Call today for a free consultation. Probate and trust administration — We provide complete trust administration services and representation for all types of probate in the state of Florida. Our firm also accepts cases involving trust and probate litigation. Estate planning — Our goal is to customize an estate plan for each client and their beneficiaries. We first want to understand your needs and goals and then work with you and your advisors to assist in achieving those goals. We are a member of the premier national association of estate planning attorneys, Wealth Counsel. Foreclosure defense — We have many cases where lenders have acted irresponsibly in their underwriting of mortgage loans, servicing of their mortgage loans and following required guidelines set forth by federal and state law. If you are facing foreclosure, don't face it alone. Our goal is to level the playing field and fight for your rights. You need an aggressive attorney that will handle your case. In addition to defending foreclosure action, we will hold lenders financially responsible for their violations of federal and state laws. Business & Civil litigation — We provide cost-effective, individualized legal services for all clients prosecuting or defending against civil litigation claims. We will vigorously advocate for your interests to assist you in reaching your goals. We can handle commercial contract disputes, shareholder disputes, commercial landlord-tenant disputes as well as other types of commercial litigation. We represent clients both in state and federal court. HOA and Condo Association Management - We provide assistance and legal representation for collections and foreclosures, covenant enforcement, association documents, fair housing accommodations, developer turnover and construction defects. If you have a concern involving any of the legal issues listed above, we can help. Just call or contact our Ocala office location by phone or email to schedule a free initial consultation with an experienced lawyer.